As summer heats up, we've really been cooking over here at Cabiria HQ! We shipped to the newly opened, newly revamped Re/Dress NYC, we're in the works for a big wholesale order to a vendor you already know and love, and we're working on how to get the Fall/Winter collection produced. So much good stuff! But this is definitely the biggest news: We are hitting the road for a Store Tour! As a big thank you to all the lovely Upper Midwestern folks who have been selling out Cabiria's dresses at Bombshell Boutique in St. Paul, Vive La Femme in Chicago, and Boutique Larrieux in Milwaukee, I am going to be coming to do 3 in-store events and bringing lots of Cabiria pieces for you to try on and take home with you! I know the shop owners all have fun stuff planned, from giveaways to manicures to cupcakes, so please come out and meet me! I can't wait to show you my dresses and meet you all. 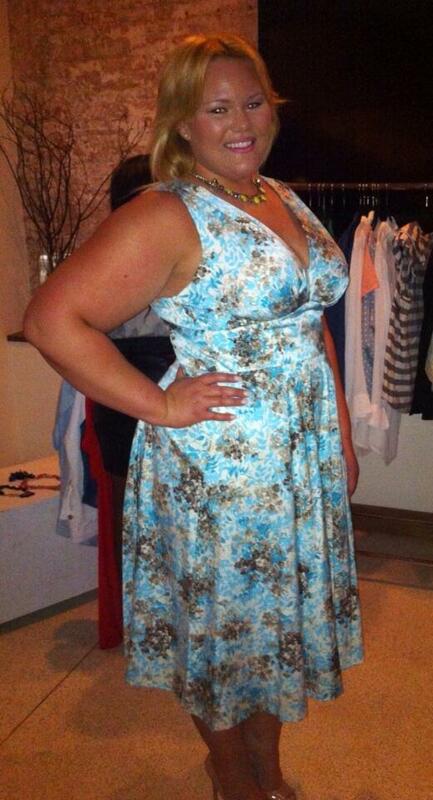 We also have the glorious Michelle Landriault of Affairs Magazine proving to be the best kind of fan. 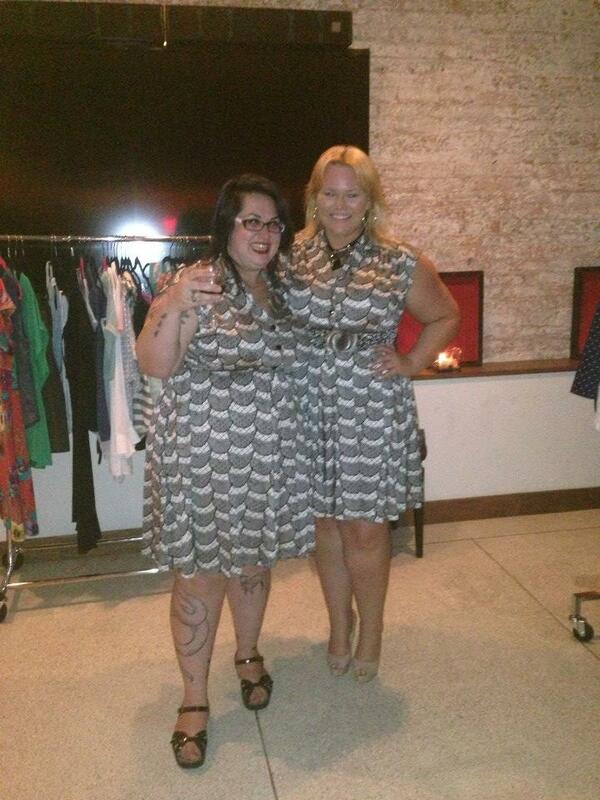 Not only has she now featured us once in her magazine, but she bought another dress and featured us again! 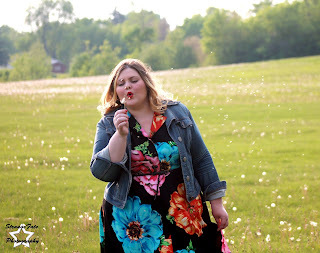 And this time, she got StrangeFate Photography on board and did an entire photo shoot to show off how she wears her new Cabiria Sofia in Giant Peony silk dress. Can I just say how much I love this lady? If you click on the "Affairs" link, you'll see her whole photo shoot! 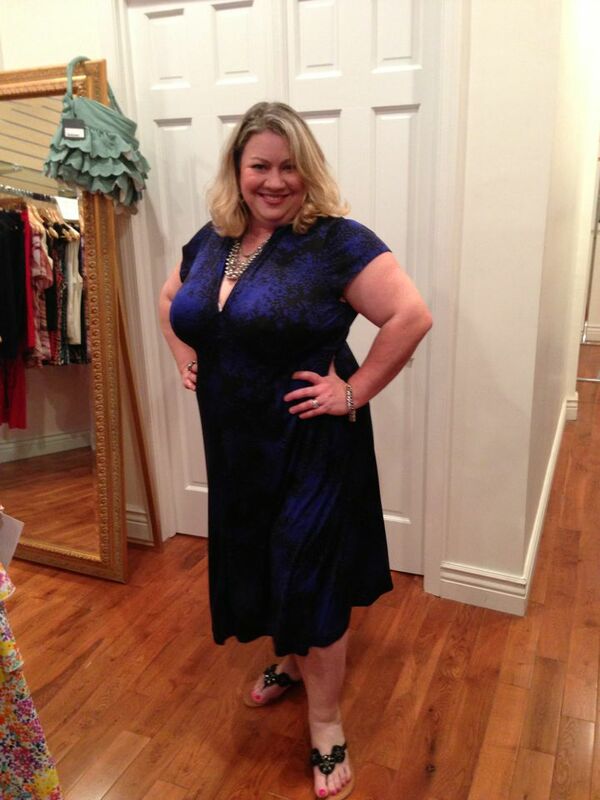 Next we have the lovely Cynthia Schames of fantastic e-commerce site Abbey Post modeling the new Valentina in Blue Splatter that she bought at Curvaceous K on NYC's Lower East Side. She didn't want to take it off, and wore it out of the store! I love that. And finally, from last month's Madison Plus Select Press Event, we have a photo from Tracey Iglesias's blog Ascending Butterfly, featuring the Flaminia in Tropicalia, the Francesca in Robin's Nest, and the Sofia in Black & Ivory Lace silk jersey. And me! Please get in touch with the stores closest to you for more details regarding the in-store events, and if you want a store near you to carry Cabiria, let them know! Happy summer everyone, and see you soon! GOOOOOOAAAALLLLL!!!! 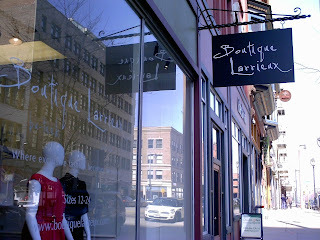 Telemundo, WNTW, and a new Boutique! I'm so pleased to know Aimee Cheshire and her extraordinary website for plus size independent contemporary designers (like me), MadisonPlusSelect.com. She curates designers who wouldn't otherwise have a broad platform, and she does it with panache! Last week I was part of a press event for Madison Plus Select and the new pieces on the website, and then this week, she had us featured on Telemundo's "Mujer de Hoy" program. 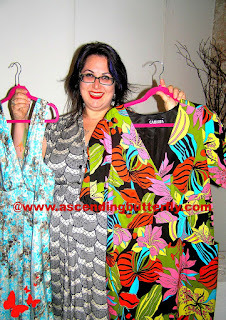 As in gorgeous plus size Latinas who look amazing in my bold patterns and curve enhancing dresses! 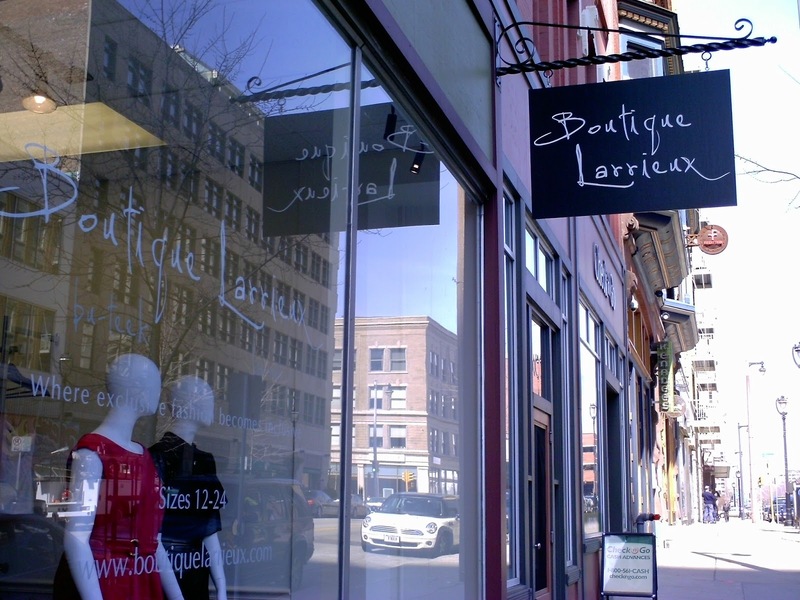 In another piece of wonderful news, I just shipped a big selection of Cabiria pieces to the amazing, classy Boutique Larrieux in Milwaukee, WI. The boutique is located in a pretty shopping district of landmark buildings in the Historic Third Ward, and Lydia Hamilton's shop is a perfect jewel in the center of everything. You ladies in the upper Midwest have wonderful taste! Finally, the TLC show "What Not To Wear" came into Curvaceous K in NYC last week, and makeover girl Carly got one of our silk jersey dresses! Not only that, but she'll be featured in the episode trying it on and loving it! Such an unbelievably wonderful addition to our great press - I can't wait to find out the air date and show you the reveal. Thank you to everyone involved in this wonderful journey. I get so excited to see people respond so positively to Cabiria and my work!